Super Mario Odyssey Co-Op Game Pitfalls is Typical of Nintendo | Nerd Much? All of us, at one point, have been Player 2. From having to select *Luigi to simply being forced to pick up a MadCatz controller—Player 2 always gets the short end of the stick. Surprisingly enough, this isn’t just something we inflict upon each other but a thing that’s, sometimes, designed into games. While plenty of companies are guilty of this, Nintendo comes to my mind immediately. This is largely due to the fact that my current life is consumed by the Nintendo Switch; but with the console being so young, my library of games is fairly small. And as I cycle through a core set of games, their successes and shortcomings become all the more apparent. Nintendo is often praised as the God of couch co-op but their set-ups are not without their flaws. Some recent examples that come to mind are The Binding of Isaac’s physical release and Mario Kart 8 Deluxe. Surely, this would get me to roll up my sleeves and finally kill mom. After all, taking on this feat has to be easier with someone by your side. But when I started up the game it was clear that wouldn’t be the case. Player 2 in The Binding of Isaac is significantly less powerful (less hearts than Isaac who also has less hearts than normal). I don’t consider this a flaw because I assume it’s meant to preserve the difficulty of this indie classic. I can live with that. But I can’t live with the fact that it’s game over as soon as Player 1 dies regardless of Player 2’s health. 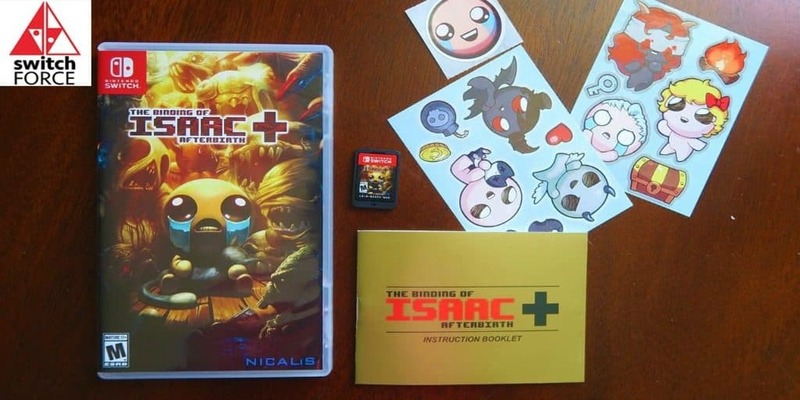 Narrative wise, it makes some sense; Isaac is our lead and, if anything, Player 2 is more of a part of him that their own person. But it really hinders the co-op experience in terms of the gameplay. Additionally Player 2 can’t open chests, pick up keys, or even go through doors. Good local co-op is about sharing the gaming experience. This means both players should, more or less, be equally involved—even if their rolls are different. But in The Binding of Isaac, that’s not the case. 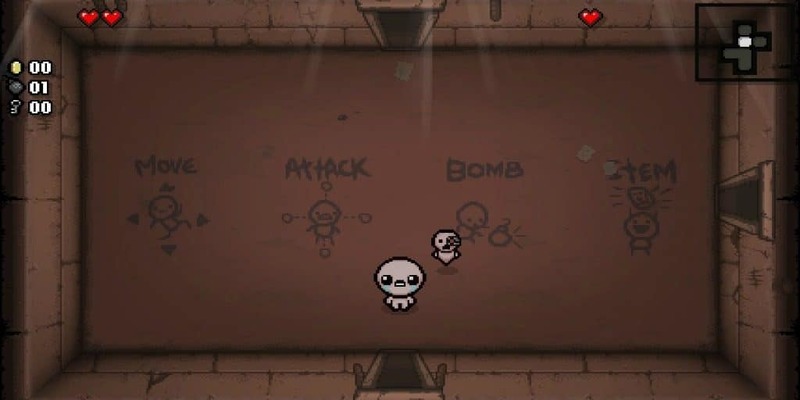 If players share Isaac’s original hearts, why not just share them evenly? And if Player 1 dies? Why should that impact Player 2’s gaming experience when the inverse doesn’t apply? In The Binding of Isaac, it’s Player 1’s world and everyone else is just living in it (that is, until Player 1 dies). When Player 2 feels like an afterthought that’s never good for a co-op experience. I suppose it’s better to be an afterthought than overlooked entirely. As is the case for local co-op, online play in Mario Kart 8 Deluxe. Mario Kart 8 Deluxe: You Don’t Get A Vote. For those of you who are unfamiliar with the setup, “local co-op, online play” simply means up to two people can be playing locally and go online “together.” It’s the best of both worlds to me and it’s a blast for sure; all the joys of couch co-op with the challenge of online opponents. However, my one critique is how it approaches course selection. When you’re teamed up with someone and going to play online only Player 1 gets to select a course. A little strange, but not unforgivable. That part comes next… not only does Player 2 not get to vote for a course, Player 1 actually gets their vote counted twice. Player 2’s opinion on the matter is literally bypassed and their controller is used to boost Player 1’s voting power. It’s pretty weird and very unnecessary. The game basically stole Player 2’s right to vote and gave it to Player 1. These grievances colored my gut-reaction to the announcement that Super Mario Odyssey would have local co-op. “Let me guess? Something basic like being cappy”. Cappy can take flight. Cappy is also invincible in that it takes no damage; in this sense, Cappy can function as a shield. This creates the opposite co-op problem that we see in the Binding of Isaac. Instead of being too weak, you’re too strong. Super Mario Odyssey’s approach to co-op might be successful in that Mario and Cappy are both involved, but with different roles. However, the fun of Super Mario Odyssey seems to be about the harmony of its layers. 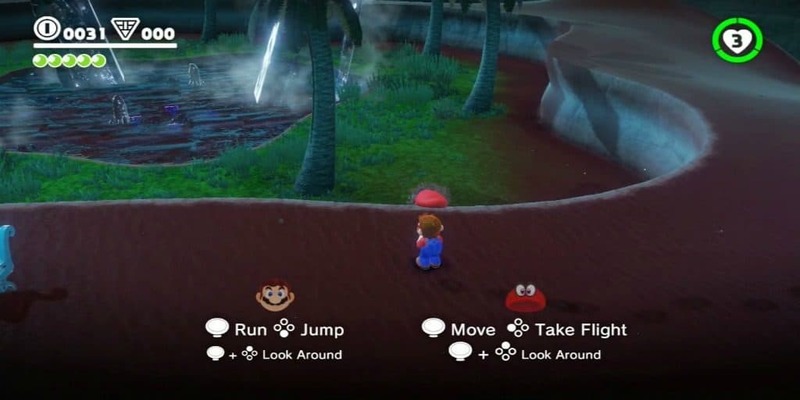 It’s the environment, the outfits, the “vehicles,” and Cappy’s functions. Letting Player 2 be Cappy feels like it’d be “giving away” some of that enjoyment rather than sharing it with another person. One “pro” of this mode, that Nintendo seems to be marketing is that it can be a good way to get lower-level or non-gamers involved in the action. At surface value this makes sense, if Cappy can’t die isn’t that perfect for a child or curious non-gamer? My vote is no. There are certainly perks to this kind of set-up but there are also unintended consequences. This is when you play co-op with the intention of helping your partner through the level knowing that you are more skilled and will thus do more of the work. This is often used when one gamer knows a franchise really well and the other doesn’t or in the case of a general skill gap (ex. We are both new to Super Mario Odyssey but you are 4). When it comes to Sherpa co-op Super Mario Odyssey may not be as helpful as it sounds. Allowing both characters to control the camera is helpful but can create confusion if it’s not utilized correctly. If a child is too young to play well on their own I doubt they’ll be able to optimize camera angles in a way that helps both them and their partner. Letting your child play as Cappy so that they can get in on the fun is fine, but I imagine this kid would spend a lot of time spinning around. And I mean A LOT of time spinning around. Even just watching the post E3 co-op presentation made me a little queasy/confused. With a Mario player and a Cappy player, my eyes kept darting back and forth between them. And with Cappy constantly flying around (the only thing Cappy can really do) it was a bit disorienting. If you’re looking to guide a kid through Super Mario Odyssey, by using the co-op system, it may get a little messy. I have nothing against Sherpa style co-op but, to me, it should be merely a possibility rather than a primary intention. A good example of a successful Sherpa style co-op was Super Mario 3D World. 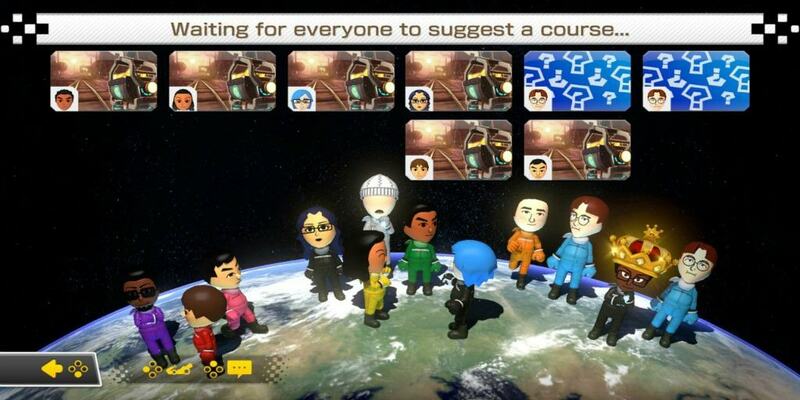 You could play with up to 4 players and everyone had their own autonomy. If someone died, they’d respawn via a little bubble above the rest of the group. So if one or more players were at a lower level than the other(s), it wouldn’t impede level progress. And best of all, when you got to the end, anyone could hit the flag. Player 2 was simply whoever synced their controller second. 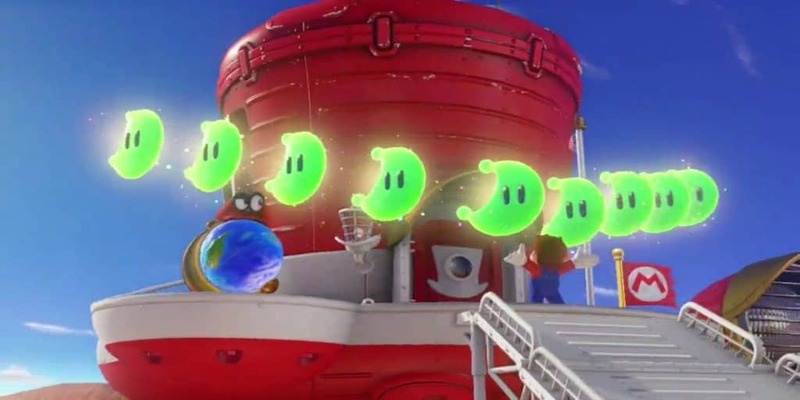 And, of course, Cappy can’t actually collect the moons, Mario has to be there to grab them. This is when you play co-op with the intention of getting a “non-gamer” to have fun with a game. Having played video games for as long as I can remember, I can’t imagine what it’s like to be new to video games. That being said, trying new genres always takes some getting used to. I’m pretty new to shooters and I remember not knowing simple things like how to reload (which is the same in basically every shooter, apparently). Even getting used to the first person perspective was a bit of a trip. If you’re using Super Mario Odyssey’s co-op to get a non-gamer interested it may be a bit too much. First of all, the game is playing on an established formula so not having any background will likely make the game a bit more confusing and a bit less enjoyable. Secondly, it seems weird to “introduce” someone to this new Mario sandbox platformer by having them play as a character that can’t do platforming. Cappy does not jump. It flies, hits enemies, collects coins, etc but it does not jump. The inclusion of co-op mode was meant to make good use of the Nintendo Switch. But the idea of someone being Cappy and someone being Mario feels a bit too much like literal sharing. It’s like IGN’s Linked Together Show, in which Brian Altano and Zach Ryan each take a joy-con to play Breath of The Wild, but without the ridiculous factor that creates the fun. For all I know Super Mario Odyssey’s co-op could work well but I have some serious concerns. Even if I never use its co-op mode, its inclusion doesn’t hurt me. Yet, I can’t help but feel a little salty about it. I would’ve loved a more traditional co-op experience, but instead, I have this. 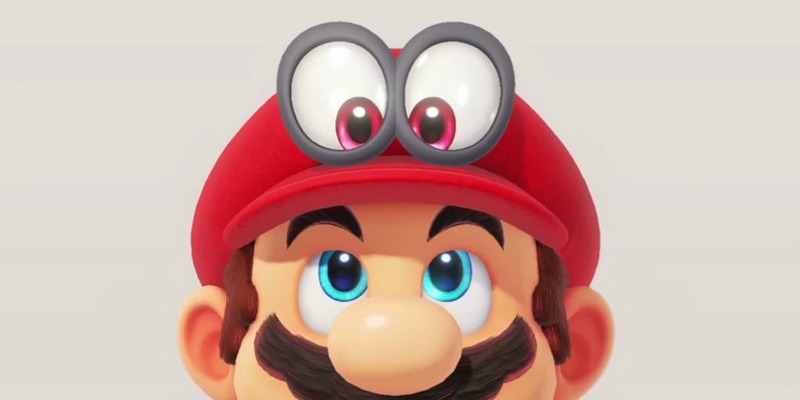 Perhaps it’s better than no option at all but, if I was playing as Cappy and my brother was playing as Mario, I can’t help but feel like neither of us would be getting the full game experience. And whether co-op turns out to be fun or not, I think that statement will remain accurate. On the plus side, with the co-op being so different from the single player it could add to Super Mario Odyssey’s replay value. Nintendo may be the king of co-op but they have some work to do. Super Mario Odyssey remains one of our most anticipated games of the year, despite its apparently odd take on the co-op formula. For more on Odyssey and other co-op titles coming, check out what other upcoming games are coming later this year.